This years Conference for the Association for Software Testing, CAST, is August 11th-13th in New York City, at New York University (“NYU”) on Washington Square. The problem? There is no official conference hotel. Suddenly you’ve got to find a place that you can walk to the conference center, or else figure out public transportation. You’ve got to compare prices, trade off intangibles (how much is free internet worth? Free breakfast? Privacy? ), compare reviews, think about taxi fare … and if you don’t do it now, you’ll have to do it later, when the best places are filled. Time Pressure. Uncertainty. Quality factors that are hard to quantify and compare. The Official Excelon Development hotel for CAST2014 is The Marlton Hotel. How did you select the Martlon? Starting with a tripadvisor search (I did not find hotels.com particularly helpful), I tried to trade off location, price, and amenities, knowing that I am a Midwesterner and balk at hotel rates over $200 a night. My goal was to find a place that not only would be a good fit for me, but a fit for the typical CAST attendee I had met in previous years, a “second place” where people could gather after the conference, that would facilitate conversation and not keep people hungry. 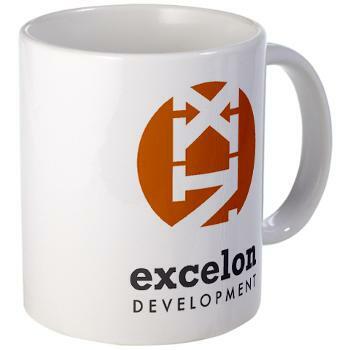 Wait — What does “Office Excelon Hotel” Mean? This year, if you’d like to be involved with that, I’d suggest you stay at the Marlton. I did my own research and came to the conclusion that the Marlton Hotel, a five minute walk from the conference hotel, is my best bet for CAST. I have reserved a room, one of sixty that are currently available for that week. If you are going to go to CAST, you can, of course, do your own research, or you could just book the Marlton. Not everyone will want to stay at the Marlton, and that’s okay. I’m certain there will be another group that rides the subway or tram out to New Jersey and gets much cheaper accommodations. The camps and games I describe above support a much smaller, more personal group. If you are having problems finding a place to stay for CAST, want something that’s good enough, and don’t want to spend hours reading reviews on tripadvisor, look into the Marlton. If you are interested in extra-CAST social events, drop me an email at matt at xndev dot com. If we have enough interest, we can always create a public schedule — or not. After all, the CAST schedule isn’t out yet, and the conference typically does a pretty good job of filling up the entire week! Here’s a little more on the Marlton – excerpts from the magazines where it has been recently featured, including Conde Nast Traveller, Vanity Fair, The New York Times Style Magazine, Radar, The Hollywood Reporter, and Scene!